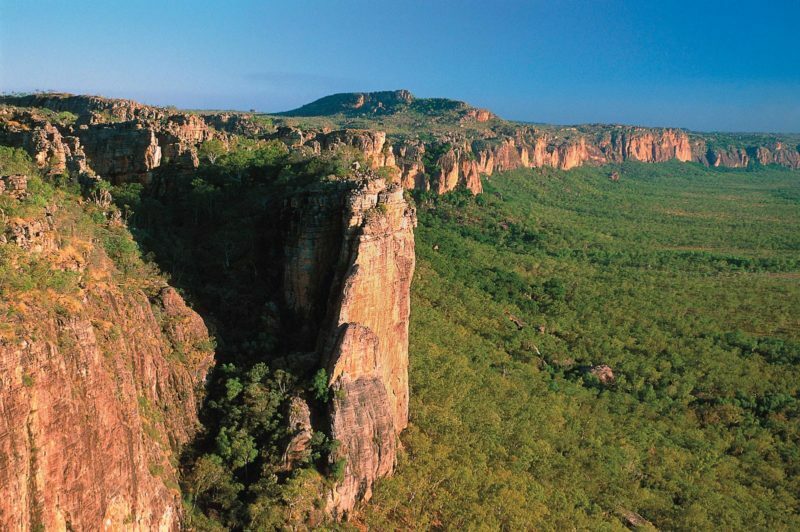 Bushwalk into an area of rich biodiversity at Finke River. 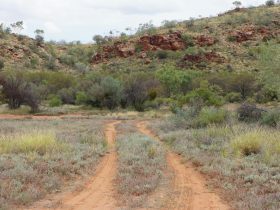 The Finke River Trailhead is the trailhead for Sections 10 and 11 of the Larapinta Trail, and only accessible to walkers. 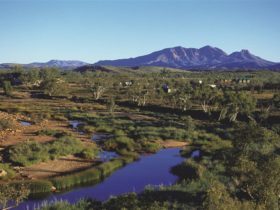 Camping is permitted at the trailhead by Larapinta Trail walkers only, and there is no vehicle access to this area. 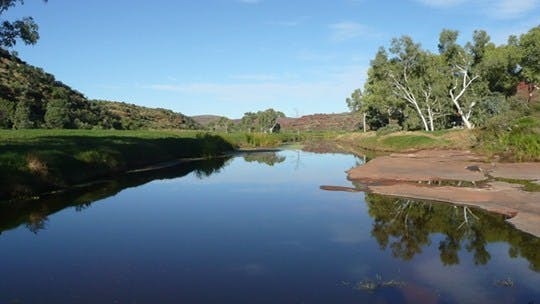 The camping facilities of Glen Helen Resort are nearby – approximately a one-hour walk from the Finke River Trailhead. 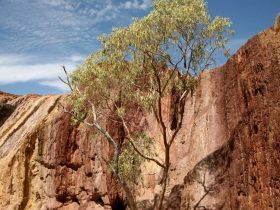 Section 10 of the Larapinta Trail is graded as medium – a narrow track that may be rough in places, with some climbing and descending, suitable for people who walk regularly. 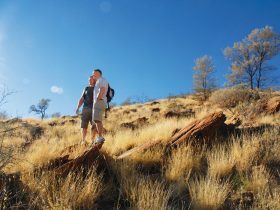 Section 11 of the Larapinta Trail is graded as hard – a rough and narrow track with some steep and/or long climbs and descents, suitable for fit people with previous bushwalking experience.